I am always talking of seasoning salt in my recipes so here we are today I will tell you how it’s done. I don’t like to rely on commercial seasoning salts. 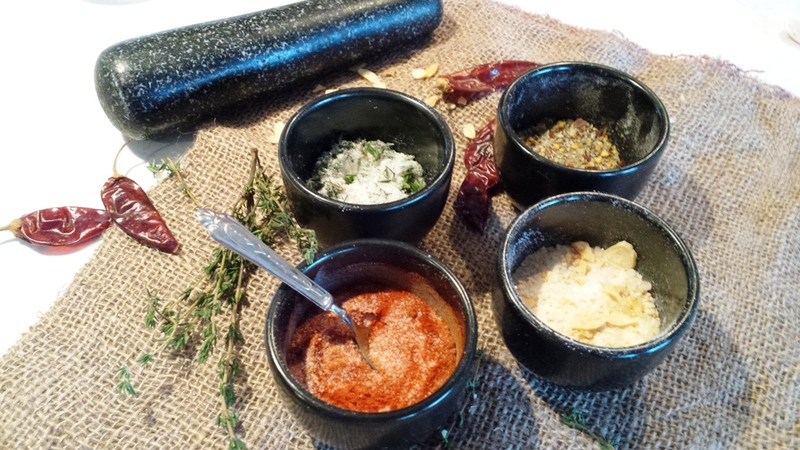 I very often make my own version of seasoning salts which gives me an array of flavor of my choice using fresh ingredients without any preservative and even better I can call homemade by me. If you like edible display then these would look beautiful on your kitchen counter and on your spice racks. 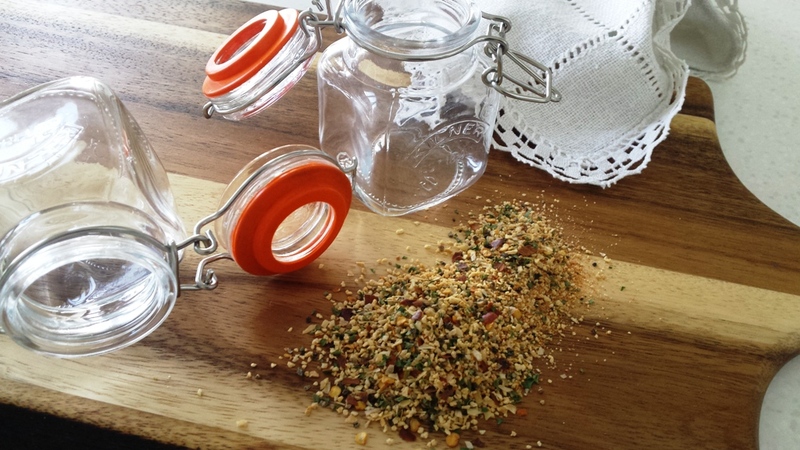 Homemade seasoning salts add a lovely taste to dishes, therefore why not make your own and have a few jars of ready-made seasoning salt. It only takes about five minutes to put together using all kinds of herbs and spices you can get your hands on. I display some of my most used seasoning salts on my work counter ready to sprinkle and spice up my meals in no time. Something I use a lot especially for my quick fix weekday’s meals for instant flavor to my dishes. You can always put them in little spice jars – and they make a beautiful colourful display in the kitchen ready for a pinch. Poured in dainty little jars, bowls these look so beautiful in the kitchen – this is what I call the beauties sealed in jars. Here I have used a combination of the ever favourite sealed Kilner jars and some in little Chinese black bowls. Below, I’ve included some my favourite taste option which you might want to try and experiment at home. 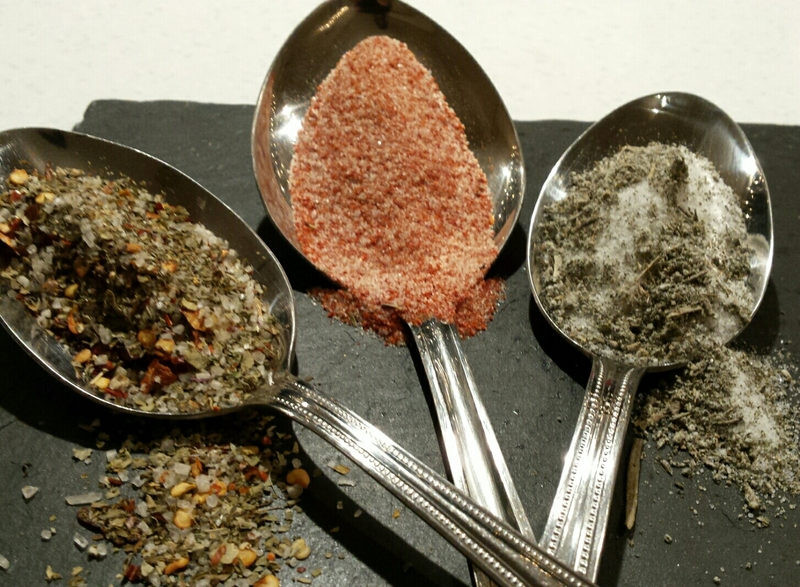 You can use homemade seasoning salts during cooking and even after as a finishing sprinkle. As a sprinkle some of the flavours go really well with pasta, in soup, even on cheese on toasts. Decide on the flavours you wish to combine. Pour your chosen ingredients into a mixing bowl and stir in the spices into the salt until well combined. 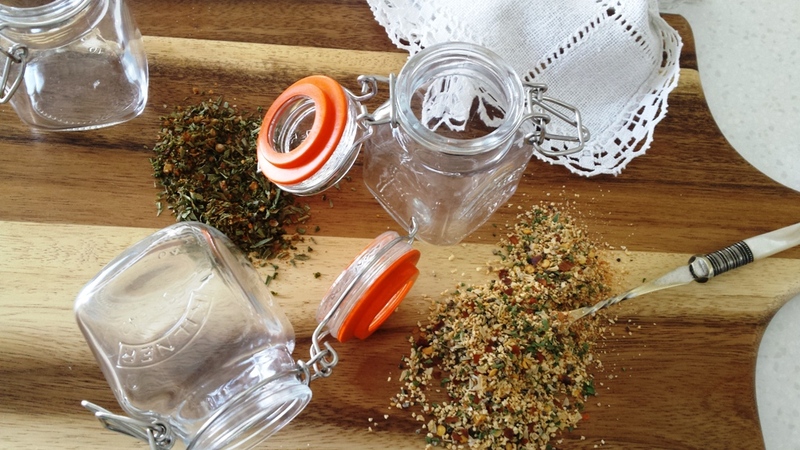 Transfer the seasoning salt into jars or other container of your choice, close the lid and store in a cool place. They will keep for months. They make lovely personalized edible gifts too. Most Favourite Flavours of mine: Smoked paprika, Rosemary, Dried garlic, Lemon peel, Sage, Rosemary & Garlic, Flaked dried chillies, Mixed Italian herbs, Mixed herbs, Thyme, Powdered dried lemon grass, Chilli powder, Kashmiri chilli powder with its pungent bright colours – I say few of my favourite but quite honestly I could go on……..